Last year, I reviewed the new flagship Nikon D5. It is an incredible camera, with autofocus that is far more advanced than any I have ever used. At the same time Nikon released the D500 (shown above), which might have been overlooked, but has since received a huge number of “Camera of the Year” awards at the end of 2016. With demand for the Nikon D500 being sky high for most of 2016, I finally got my hands on it this past month–and it didn’t disappoint. B&H Photo and Video kindly lent me the Nikon D500 for a month to test out as part of their affiliate program–my thanks to them for this opportunity. Like the Nikon D5, the Nikon D500 is a great camera. The D500 incorporates a DX sized sensor as Nikon calls them, which is a smaller sensor than their full frame cameras and has a 1.5X crop factor. Years ago, I used to shoot with a Nikon D700, which had a full frame sensor, and a Nikon D300, which had the DX sensor, as they gave me different sized sensors and the duo made for a very versatile and lightweight kit. The D500 is a new, much upgraded version of the now ancient D300. For those times when I need a little extra reach, the D500 is a great alternative to my full-frame Nikons. It is built like a tank. It is lightweight and compact, especially when compared to the D5 or my D4. And it has the best autofocus of any camera on the market save for the D5, which has the same autofocus module. In fact, the autofocus on this camera is so good that if you shoot sports that feature alone is worth the purchase price for the D500. In this review I will cover the basics and give my impression. There are of course far more detailed reviews out there so if you are looking for a comprehensive review check out DPReview.com. As already mentioned there isn’t any other camera on the market, save for the Nikon D5, that has such incredible autofocus capabilities as those found on the D500. This camera literally locks onto your subject and will not let go. For sports and action photographers like myself, this is a phenomenal feature. The autofocus in my Nikon D4 feels like something from caveman times when compared to the autofocus built into the D5 and D500. The difference is that stark. In fact, I will be going through withdrawals now that I have sent the D500 back to B&H. On a recent assignment for Red Bull I was photographing the Red Bull Air Force, with whom I have shot with several times. This was a prime opportunity to see just how good the autofocus of the D500 was compared to my other Nikons (the D810 and D4). 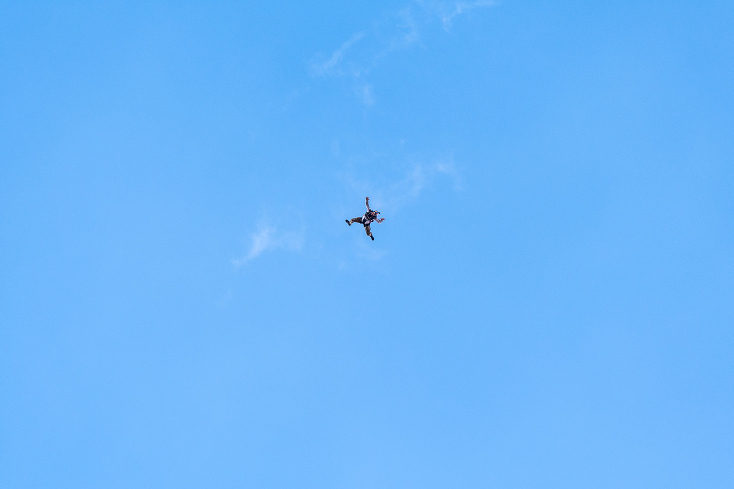 As you can see in the image below, Miles Daisher is falling out of the sky at a 120 mph (193 kph) after having jumped off the skid of a low flying helicopter. I had the Nikkor 300mm f/4 PF VR lens mounted on the camera and tracked Miles movement from the time he jumped off the skid of the helicopter. 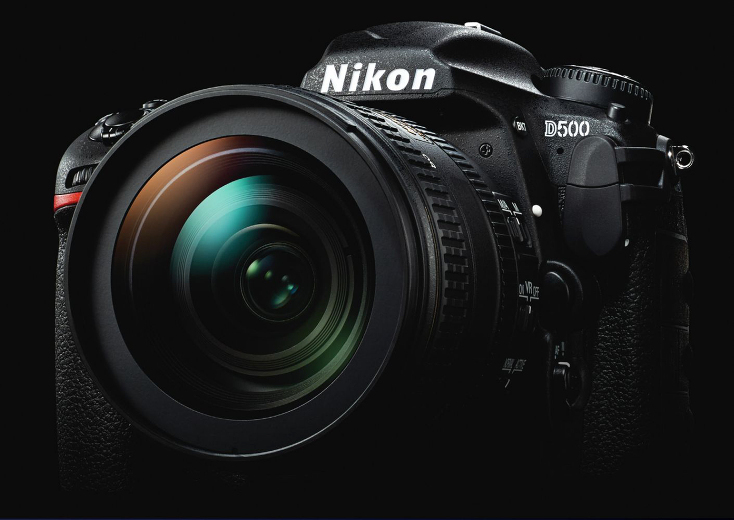 The D500, which was set to the AF-C mode with 3D AF Tracking, locked onto Miles and never let go. Literally no images from the entire sequence of 30 or more images are out of focus. Miles is tack sharp in every image. 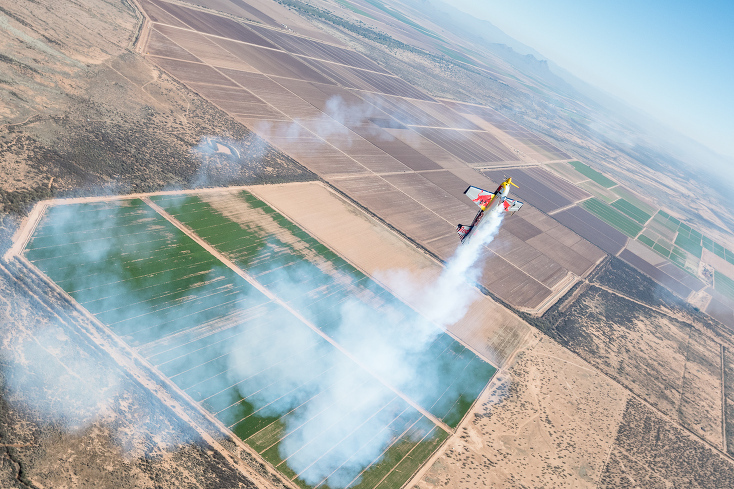 In another example, using the same autofocus settings (3D tracking and AF-C continuous autofocus), I shot the below image of stunt pilot Kirby Chambliss with a 24mm lens out the open door of an adjacent plane. The 3D Tracking feature uses both color and distance to lock onto the subject and really frees you up from the focus points to adjust your composition quickly. In fact, being able to rely on the 3D AF Tracking mode, where you initiate the autofocus where you want it to start AF tracking, and then recompose the image however you want is one of the best options in any camera I have used in quite some time. My older Nikons have this same mode, and in the Nikon D810 it works decently well, but in the D500 (and the D5) it is ridiculous how well it works. Freeing yourself from the AF points is a huge deal when it comes to creativity and the 3D AF Tracking is the best way I have seen yet in any camera system to free yourself from the AF points. In addition to the 3D Tracking mode, with the D500 the focus points extend right to the edge of the frame so you literally can put a focus point just about anywhere in the frame, which is great when trying to pre-compose an image while shooting fast action. With these two examples in mind, suffice it to say that the D500 has ridiculously good autofocus. As I said in my Nikon D5 review last year, I have no idea how Nikon will improve upon the autofocus in the D5 and D500. It is just that good. As a 20.1 MP crop sensor camera, the image quality of the D500 is excellent. It isn’t anywhere near as detailed as the 36 MP Nikon D810, but that is quite a different camera than the D500. For what it is, the image quality is excellent. The Nikon D5, which has the same resolution sensor, but in a full frame format, has less noise than the D500, but that is to be expected. The D500 has quite low noise levels for a crop sensor camera with this resolution. I was impressed and would easily shoot with this camera all the way up to ISO 3200 and even at ISO 6400 in a pinch. Images were crisp and clean at the lower ISOs. I tended to stay below ISO 1000 on the above Red Bull assignment. With this sensor size and resolution, I would imagine that you can easily produce 24×36 inch prints with no issue whatsoever. With good camera technique, it would be easy to stretch that to 30×45 inch prints. For larger prints you would probably need more megapixels. Regardless, few people are going to quibble about the D500’s image quality. Like the D5, the D500 has a ridiculous buffer when shooting long sequences at 11 frames per second. You can shoot up to 200 raw images at 11 fps without the camera even stopping to breath. Pull your finger off the shutter release for less than a second and you can go again for another hundred frames or more. Because of this, the D500 is an incredible action camera. But there is a caveat. You have to be using the faster XQD cards and you will need the latest and greatest versions available to get this performance. With my older first generation XQD cards from Sony, the D500’s buffer filled up after 40 or 50 images and the camera essentially stopped firing in order to write the images to the card. For the Red Bull assignment, I needed a camera that could fire continuously without any hindrance so I purchased a 128 GB Lexar 2933x XQD card and that allowed me to get 200 raw images in a single 11 fps burst no problem. I used the camera extensively as a remote camera mounted on the helmet of one of the sky divers where the camera was set up in the interval timer mode shooting 5 fps continually for the entire three minute sky dive. With the fast XQD card this wasn’t an issue at all and allowed me to get images like the one below. One note I will say about the new XQD cards, at least the Lexar variety, is that the original Sony XQD card readers are not compatible with the new Lexar XQD cards so you will have to purchase a new card reader for the fast XQD cards. This is somewhat of a pain as I have older cards for my D4 and have to carry the older card reader to use with those cards. So, in effect, I have to carry two different card readers for the same style of memory card. I love the XQD cards as they are the perfect size and they are also the fastest cards on the market–even faster than the CFast cards. I know lots of folks were not excited about the new XQD memory cards when they were announced with the Nikon D4, but I wish all of my cameras used XQD cards. They are rock solid and so easy to use…save for this little hiccup with the card readers. Just like with the D5, if you want to get the best performance out of the D500 then you will have to purchase top-end XQD cards to use with it. If you are considering this camera, keep that in mind. I have to say, I had high hopes for SnapBridge, but I was quite disappointed. The D500 would not even connect once with SnapBridge on my iPhone 6s. I tried a half dozen times or more and just could not get it to connect. I see now why it has such a low rating on iTunes with lots of complaints. Nikon needs to hire some full time software developers that stay on top of the compatibility issues inherent in software updates so that they can get this to work. Having used Sony’s wireless software, I can’t say it was a whole lot better but at least it worked to some degree. Hasselblad’s wireless app blows SnapBridge away and is quite reliable on my iPad. The D500 is also one of Nikon’s first DSLRs, along with the D5, that can shoot 4K video. Having tested it out briefly, I will say that it works quite well. The 4K video is quite sharp and I saw very little jello effect when moving the camera. Combine this with the flat picture profile and the D500 is a decent video camera as well. I tend to shoot most of my video footage with Red Digital Cinema cameras, so it isn’t often I use a DSLR but the D500 is the best Nikon camera I have seen yet for video. The only downside to the video on the D500 is that the competition has moved ahead. Canon now has the Dual-pixel technology which allows for pretty amazing autofocus capabilities while shooting video and Sony, Fuji, Panasonic and others all have five axis image stabilization built-in, which really helps when shooting on the go. Hence, on the video front, Nikon didn’t really push the envelope here, save for the 4K upgrade. The D500 is a stellar camera. There is a reason it beat out a lot of other capable cameras last year to win “Camera of the year” from a wide variety of sources, including DPReview and Pop Photo Magazine. It is relatively light, compact, agile, wicked fast and responsive, and with excellent image quality there is very little to complain about save for the wireless app that doesn’t seem to work. If you are in the market for a new action camera then this one is going to be extremely difficult to beat. In fact, I think for my work, and since I already have a beefy Nikon D4, the D500 is a much more interesting camera for my needs than the D5. When shooting surfing for example, I either rent a giant lens (like a 400mm f/2.8 or 600mm f/4) or go with my nimble Nikkor 300mm f/4 PF VR lens, which on the D500 becomes the equivalent of a 450mm f/4 lens with excellent vibration reduction. If I add a Nikon 1.4x TC-E III teleconverter, that becomes a 630mm f/5.6 lens with excellent vibration reduction and the whole kit weighs less than a D500 with a 70-200mm attached. That is a seriously versatile long lens setup. And as shown in the action images above, the autofocus can keep up with pretty much anything. Kudos to Nikon for creating yet another home run camera. A few years ago it was the D750, then the new D810, and now the D500. Nikon is on a roll. And they are showing the world why DSLRs with optical viewfinders still have an advantage on several fronts when it comes to capturing action. At some point here I will most likely add the D500 to my kit. It fills a niche, especially when shooting with longer lenses, that is key for the action sports I typically shoot. And at $1,995 USD, it is a pretty good deal for what you get. There are deals out there already where you can get a refurbished body for around $1,700 USD, which is an even better deal. I do hope that Nikon can fix the SnapBridge software so that it is easier to use and connect to a phone. It seems like all of the camera companies need to spend more time on the software that they implement into these cameras. In fact, I would say, the camera companies need to rethink the entire menu system and how it connects to the outside world. Hasselblad has done an excellent job creating a very intuitive and easy to use menu in the H6D and X1D cameras. At some point here you would think that Nikon, Canon, Sony, Fuji and others would really invest in the user interface software and revamp it completely from top to bottom. On another note here, it is my hope that in 2017 we will see Nikon finally come out with a full-frame (FX) mirrorless camera to give Sony a run for their money. If Nikon can use the technology they have built into their 1 series mirrorless cameras and put that into a top-end full frame mirrorless camera then they will have a formidable mirrorless option, that I think will be a top-seller. Additionally, if they can create an adapter for their existing line of 35mm lenses for that new full-frame mirrorless camera then they will have something no other camera company has, a full frame mirrorless camera with a huge lens line up. Rob Brown - I’m a Nikon fan. Have been with them 25 years. They are making stellar cameras. But it scares the heck out of me that they are loosing so much money at the moment compared with Canon and Fuji. And why o why have they not coughed up a decent lightweight FM2 type mirrorless for us fans. They’ve got the technology and I hope it comes good for them…..but they need to listen to users a bit more. Michael Clark - Rob – Nikon and Canon are both seeing a shrinking camera market and they are both – along with all the other camera manufacturers – selling fewer cameras every year as the DSLRs hit a maturity where they don’t have to be real,aced every 18 months. Nikon wrote off a huge overhead item, which was that “Extraordinary loss” that was all the buzz recently. They are fine. They are still the 2nd largest camera manufacturer in the world. I have a feeling a sweet mirrorless rig is on the way. Fingers crossed. Rob Brown - Thanks Michael, Good to know for all of us invested with them….would not be good if any of the biggies fell over. And yes…Nikon usually take their time but when it arrives it’s usually good so here is hoping on the mirrorless for the lightweight backcountry camera.